PropSage helps you engage clients of different ethnic groups as well as existing ones. 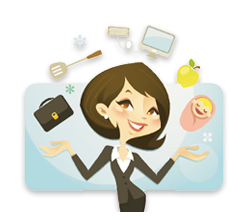 Impress your clients with your superb memory and spend less time on administrative tasks. Track case progress and set email reminders so you can close cases faster. Don't have your laptop handy? No Problem. Work anywhere, and anytime with PropSage. 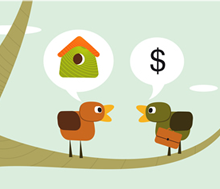 Avoid costly legal fees and disputes with clients. 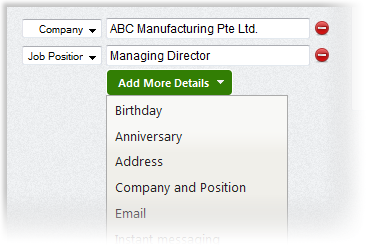 Personalise your profile, remind clients automatically, track your ads and more. Reach more clients with PropSage. 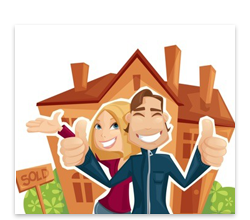 Sales is the lifeblood for any real estate agent. 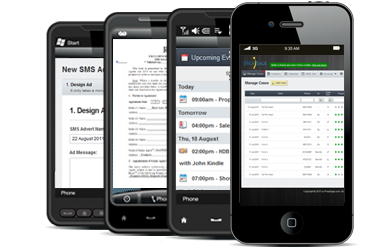 PropSage SMS Advertising is a cost-effective, and powerful way to reach your clients. Advertise your property via SMS. 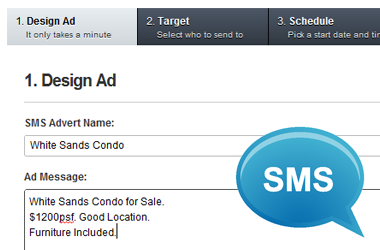 SMS Advertising has never been easier and cost-effective with PropSage Ads! For as low as $0.04 per SMS, you can schedule and send thousands of guideline-compliant SMS Ads to your clients, instantly! Never miss another lease renewal. PropSage Calendar reminds you automatically when it's time for you to go to your existing clients about renewing their leases. 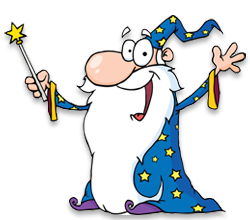 Never miss renewal business opportunities again. 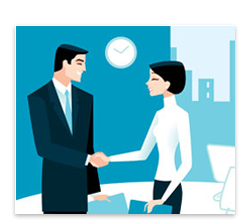 Spend more time building rapport with your clients. Facetime with your clients is a limited valuable resource, that's why our automated systems support you by letting you focus on the important things like getting to know them and better understand their needs. Wow your clients with your 'flawless' memory. PropSage's Contacts lets you to store more than just your client's contact information. Imagine your client's surprise when you send them an automated and personalized birthday greeting, exactly on the same time, every year! Spending less time on administrative tasks. Administrative work is now a breeze. With PropSage's support, you may never need to go back to the office ever again. Get everything you need. Right here and now. reminders and get things done on time. PropSage case management, calendar and automatic reminders help you track property cases and close cases quicker than ever before. 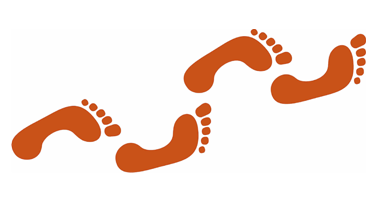 Track the progress of all your property cases. 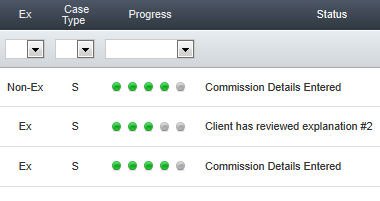 A progress bar tracks your cases with real-time email updates, so you know exactly when to reach out to your clients. 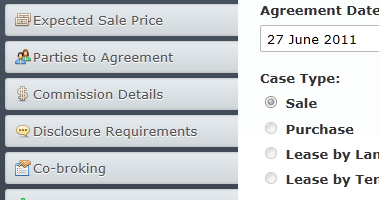 Looking for property cases has never been easier. 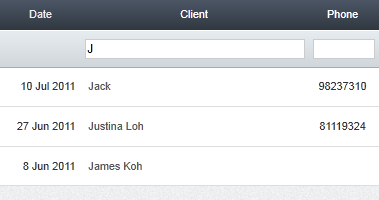 Quickly find existing property cases using client name, mobile number and more. No more fumbling through paperwork. Schedule appointments and set automatic reminders. 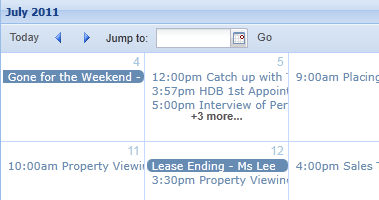 Too many appointments to reschedule? PropSage makes it easy and painless to quickly check your schedules and setup SMS and email reminders for both you and your clients. Manage your property cases on the go. Anytime. Anywhere. With PropSage, its easy to get more done out of the office. Works on various mobile devices. 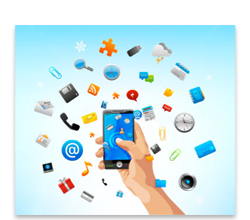 PropSage is designed especially for popular mobile devices like iPhone, iPad and Andriod. No apps required! Just visit propsage.com on your mobile device's browser... and you're good to go! You can also synchronize the PropSage Calendar with your existing calendars like the iPhone/Andriod Calendar, Mozilla Thunderbird, and many more! 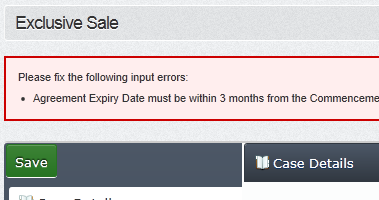 No need to set it twice! 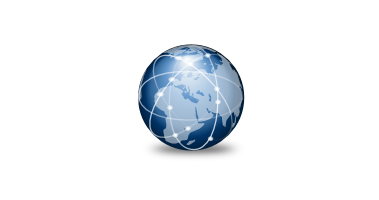 Because PropSage is Web-based application, you can access your property cases from anywhere in the world - as long as you have an internet connection. Be on the same page as your clients. Explain complex legal terms with ease. Give your clients an added sense of security by guiding them on what they can expect of your services. Avoid illegible handwriting with PropSage's powerful form filler. Create a pre-filled forms and documents that are customized to your agency needs in minutes by entering the necessary details. 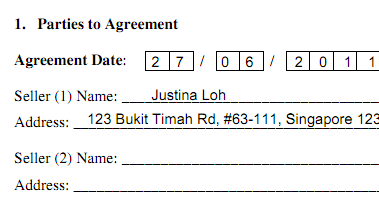 It even has clearly marked places for signatures! PropSage automatically checks the data you entered for errors, saving you from the hassle of re-filling in your forms and documents. Every time your client finishes watching a video explanation, the date and time are recorded by the system and you are automatically notified. 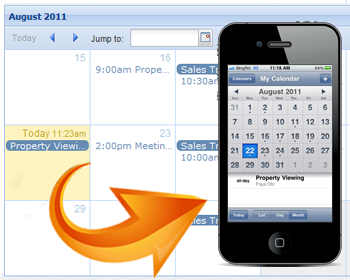 From contacts to client reminders, PropSage grows with you. PropSage combines advanced workflows and high technology to give you scalability and support at every level of your business. It is always easier to remember a friendly face. 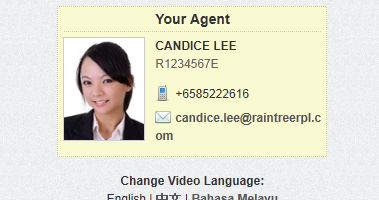 Add a profile picture and help your clients identify with you better. 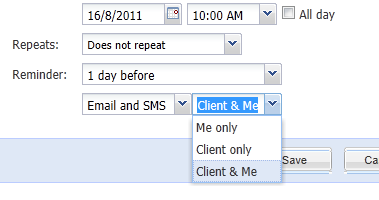 Remind your clients automatically ahead of time using PropSage SMS Reminders, and reduce the chance of clients not showing up. 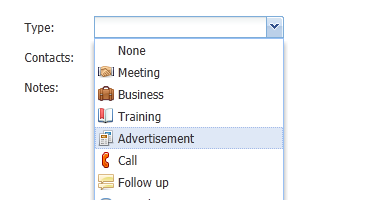 Add notes and advertisement deadlines to the PropSage Calendar, so you'll know when to repost your advertisements.